Refuge staff member Hera Osborne with the CrestClean team: Juno Vargehese, Simis James and Eldho Alias. 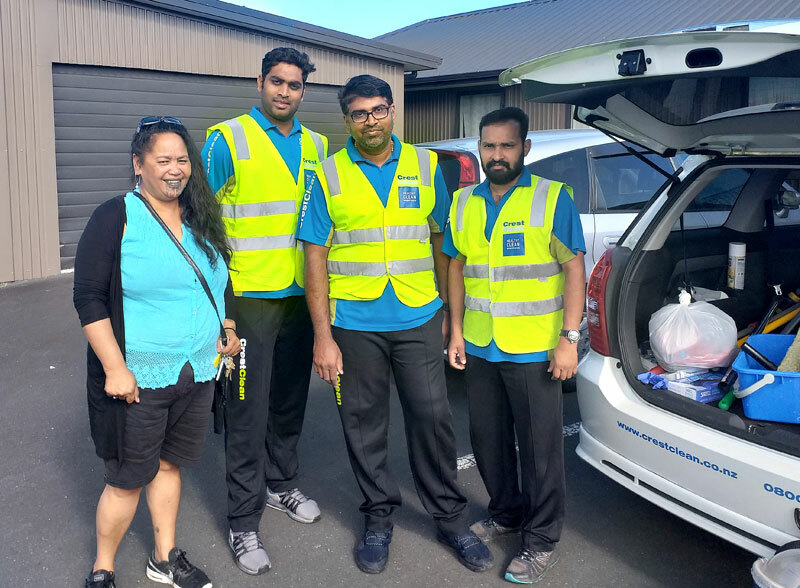 CrestClean’s Hamilton regional manager has been thanked for providing a team to spruce up three houses that accommodate victims of domestic violence. Nivitesh Kumar says he didn’t need to think twice when asked if he could assist with a “spring clean” at the Waikato Women’s Refuge. Refuge spokesman Andrew James says he was impressed with the professionalism and care of the CrestClean personnel involved in the cleaning blitz at the Hamilton centre. A hand-picked team of CrestClean personnel focussed on three of the refuge’s safe houses. They were very respectful of the environment they were in and did a fantastic job, says Andrew. Having a clean and tidy environment was crucial for women staying at the refuge who had often been though a very traumatic experience, says Andrew. The Waikato Women’s Refuge supports women of all ethnic backgrounds and is not connected with the national women’s refuge collective; therefore, the refuge relies on local support. The refuge is the biggest of its type in New Zealand, handling up to 140 new cases a week in the Hamilton area. Andrew says they are grateful for the help from businesses and the local community. 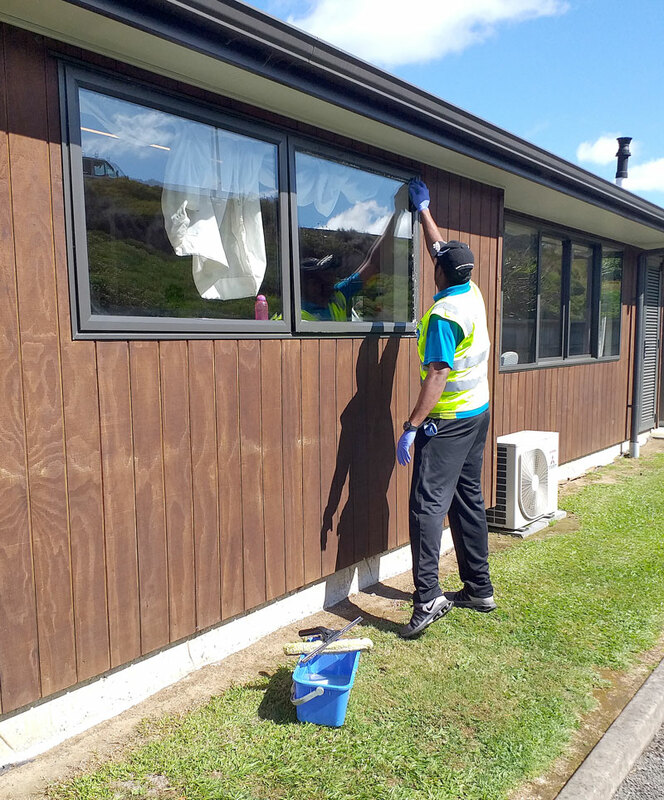 The CrestClean team get to work cleaning one of the safe houses at the Waikato Women’s Refuge. Windows were left sparkling clean during the cleaning blitz.